* The biblical verses are preceded, for the representation of God who says the thereafter following exhortations, by the Hebrew divine name yhwh, in which however the waw is incorrectly punctuated, having a patach instead of qamec. Gen 12:1: Lekh-lekha me’artsekha umimoladtekha umibeyt / ’avikha ’el-ha’arets ’asher ’ar’ekha. 1) In the third word of the first line the taw of “umimoladtekha” has a dagesh forte in the Masoretic text, which is missing here. 2) In the “asher” of the second line the diacritical point is missing from shin. Gen 15:1: ’Al-tira ’anokhi magen lakh. 1) In the manuscript a dagesh forte is missing from the taw of “tira”. 2) In the word “anokhi” the “o” is indicated by a single cholem in the Masoretic text, while in the manuscript a mater lectionis is also added (waw + cholem). 3) In the manuscript the accent signs are missing both from the qaf of “anokhi” and the lamed of “lakh”. * Achates was a friend of Aeneas, cf. Virgil, Aeneis, passim. This I wish to my inseparable Achates, * once my most faithful schoolmate and room-mate, from all my heart. The tutor of the Counts János, Mihály and Dávid Teleki, András Ajtai. In Kolozsvár of Transylvania, on July 30, 1711. András Ajtai Szabó (András Ajtai) was born in 1690 in Középajta (Háromszék county, today Aita Medie, Roumania). He studied in Székelyudvarhely (Odorheiu Secuiesc) and Nagyenyed (Aiud). Supported by Counts József and Sándor Teleki, he went to visit foreign academies in 1710. In 1713 he was a student of the university of Halle, where he graduated doctor of medicine in 1714. He went with Ferenc Pápai Páriz to England to collect donations for the College of Nagyenyed. In 1715 he immatriculated at Leiden, in 1716 at Basel. After returning home he worked as a physician. He died in 1733 in Szásznádas (Kisküküllő county, Nadeş). His work: Dissertatio medica theoretica de medicinae et doctrinae moralis nexu: quam praeside Mich. Alberti publ. disquisitioni proponit. Halle, 1714. His note written in the album clarifies that he had been schoolmate, and even room-mate (contubernalis) of Pápai Páriz, and that in 1711 he was in Kolozsvár as tutor (ephorus) of the three sons of Count Mihály Teleki, Captain of Kővár (Chioar); two of them – János and Mihály – wrote in the album on the same day (pp. 86, 87). (The name of the third son Dávid is marked with a cross in the genealogy of the Teleki family, indicating his premature death [Teleki]). 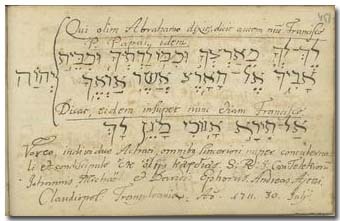 – Ajtai defended his dissertation in Halle in 1714; his professor Michael Alberti wrote his memento in July 1714 in the album of Pápai Páriz (p. 427). The year of this defence indicates that Ajtai had not been born in 1672 [Szinnyei, Pintér], but most probably in 1690 [Zoványi-Ladányi, PIM]. He immatriculated at the university of Leiden on February 15, 1715, at the age of 25, on the same day with Ferenc Pápai Páriz. – An interesting document of the English relations of Ajtai is his letter written on March 6, 1716 in London to John Covell, master of Christ’s Church College in Cambridge, who wrote in the album in September of 1716 (p. 476). The beginning of the fundraising in Oxford is indicated by a thanksgiving letter by Ajtai to Arthur Charlett, master of the University College in Oxford [Gömöri: Adalékok].